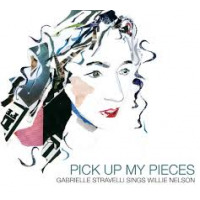 PICK UP MY PIECES: THE MUSIC OF WILLIE NELSON. Dedicated to the music and life of the Red-Headed Stranger himself, award-winning vocalist, songwriter and trained actor Gabrielle Stravelli spins her soulful and unique take on the full spectrum of Nelson’s catalog; from early hits like “Three Days” and “Blame It on the Times,” to favorites from his album “Stardust,” to eternal classics like “Crazy” and “Nightlife.” Alongside the music, Pick Up My Pieces weaves in stories from Nelson’s famously colorful personal life and career. Lancaster's Favorite Date Night welcomes you to Club 42 with intimate table seating and options to purchase small plates (from Merrymaker Catering) and beverages. Doors open at 7 p.m.